Have I mentioned we just bought ourselves a huge late 70’s home? We did. Have I also mentioned that it is infact the same house my mother and I both grew up in? It is also a huge project. Some of the bits have had costly reno’s that are amazing. Other bits are outdated and sad looking. We are pumped. We are ready. We are completely overwhelmed. And so today’s Pinterest of Interest is born of New Homeowners Panic. Enjoy. 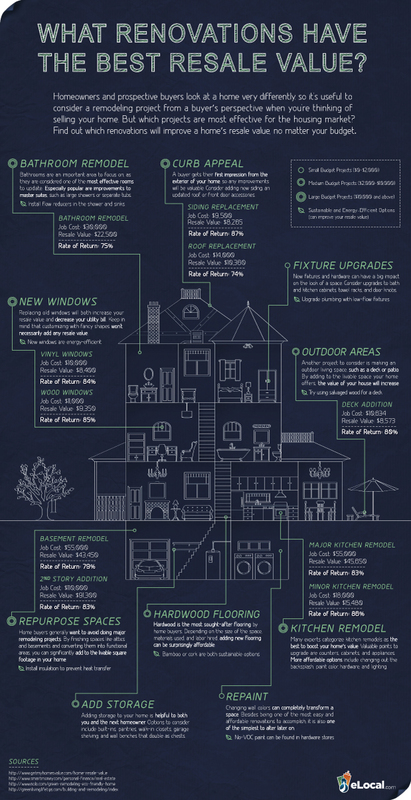 This little gem gave me lots to think about: What Home Renovations Have the Best Resale Value? How to Repaint Your Old Gross Shower Trim. Awesome. This is by far the easiest Upholstered Headboard Tutorial I have found. It blew my mind when I read it. Duh. Why didn’t I think of that?! I love this tutorial as well for painting doors. But not only would I repaint our boring front door but also the door leading to the garage. Give our hallway that pop of color. How To Build An Attached Pergola. Wha? There is no tutorial with this Slide Out Shelf image. BUT I am crazy excited about the idea. Hope this inspires something in you as well! Start working on that house!